An attempt to smuggle cocaine into the UK hidden inside a box of rum cakes has been prevented by Border Force officers at Gatwick Airport. The Border Foce says that officers discovered the Class A drugs on the morning of Saturday (November 24), when two passengers were stopped after arriving on a flight from Jamaica. The drugs, which had been concealed in a box of rum cakes within luggage, weighed approximately 4kgs and a full forensic analysis will now take place. Tim Kingsberry, Director of Border Force South said: “It is the job of Border Force to stay one step ahead of the smugglers who would look to bring dangerous drugs like this into the UK. “Detections such as this are testament to Border Force officers’ expertise. “In this case, the drugs seized were estimated to have a potential value of approximately £160,000 once cut and sold on the streets. 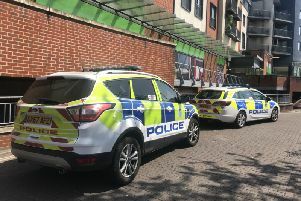 Two women, both Jamaican nationals, one resident in Birmingham and one from Wiltshire, have been released under investigation while NCA enquiries continue. The Government’s Serious Violence Strategy, which was launched in April, aims to combat the devastating impact drugs have on levels of serious violence. It also highlights a strong link between drugs and serious violence and the related harm and exploitation from county lines. The Government has set out the action it will take to tackle this violent and exploitative criminal activity. The action of Border Force to stop drugs before they get into the country forms a key part of this work.